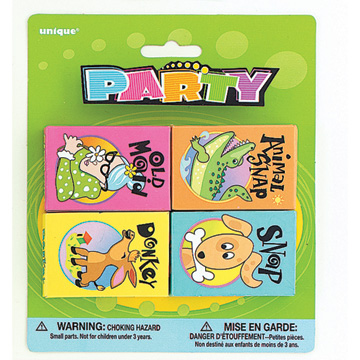 Play card games and entertain your guests! Assorted games. 4 card games per pack.